This evocative photograph gives you a good idea of what ‘Do Miners Read Dickens?’ by Hywel Francis and Siân Williams is all about. It’s a celebratory coffee-table volume to mark the 40th anniversary of the South Wales Miners’ Library which is part of Swansea University. 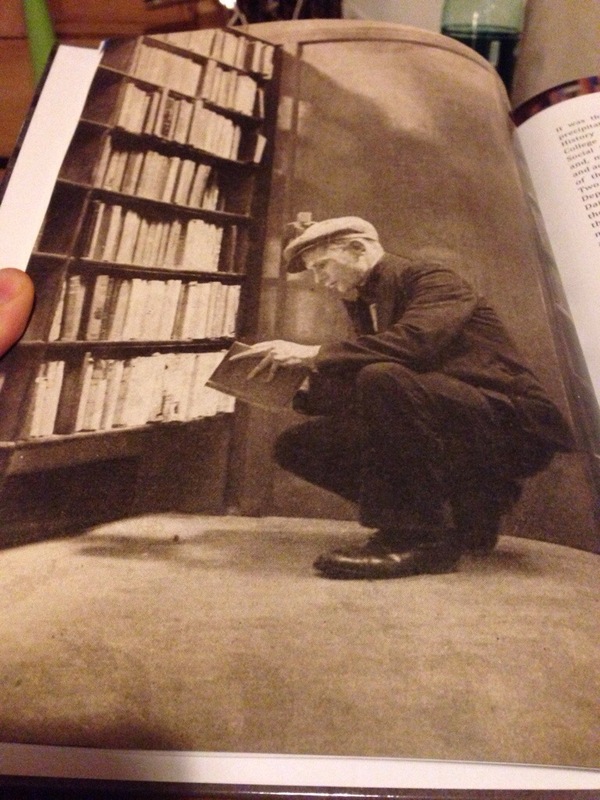 But in doing that it also tells the story of the way miners educated themselves using miners’ institutes’ libraries. That’s because from the time it was established in 1973, the Library’s aim was to secure the collections of fast-closing institutes which were being snapped up for as little as £20 by book dealers. wanted to get away from the farms, and I thought that there would be an opportunity for more self-education in mining villages and that proved to be true. But the South Wales Miners’ Library continued the rôle played by those Institutes by expanding its activity both into storing archives and oral testimony and into adult education through part-time courses and other types of outreach. Part history, part-prospectus this book celebrates an extraordinary act of remembering and determination to capture the spirit of what it remembered. And for me the real appeal lies in the fascinating snippets of first-hand testimony, clippings from newspapers and pamphlets, posters, banners, cartoons and photographs.